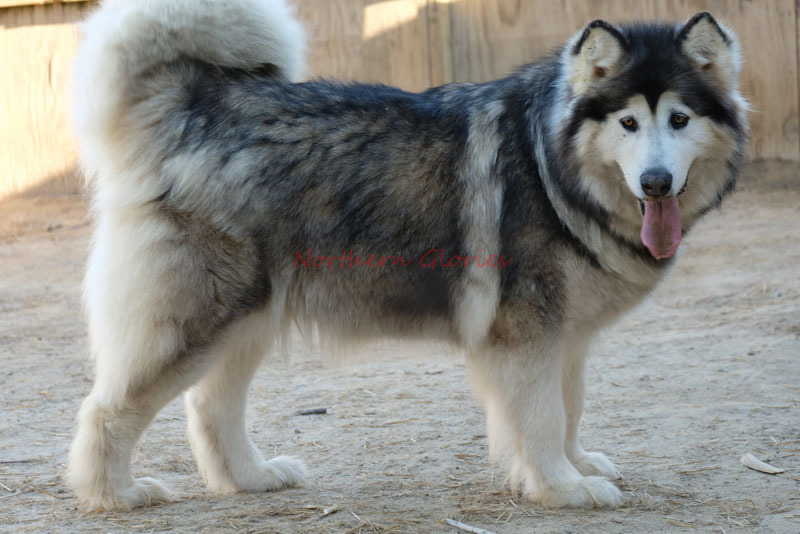 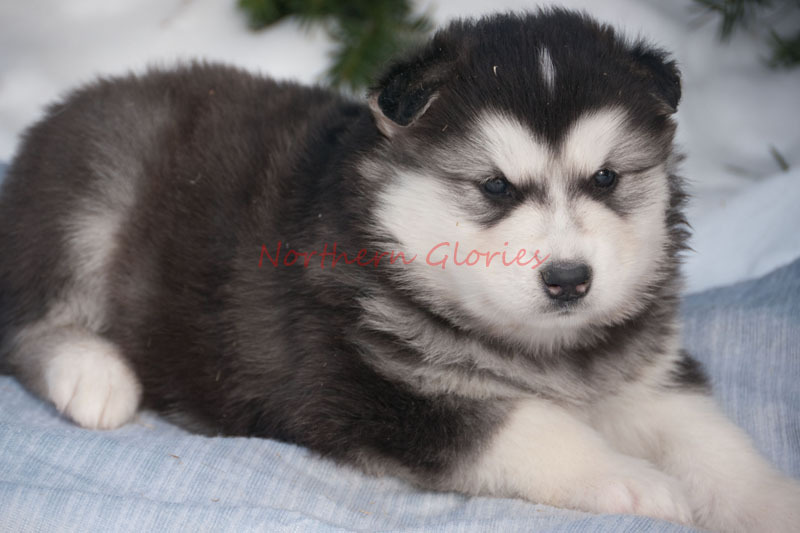 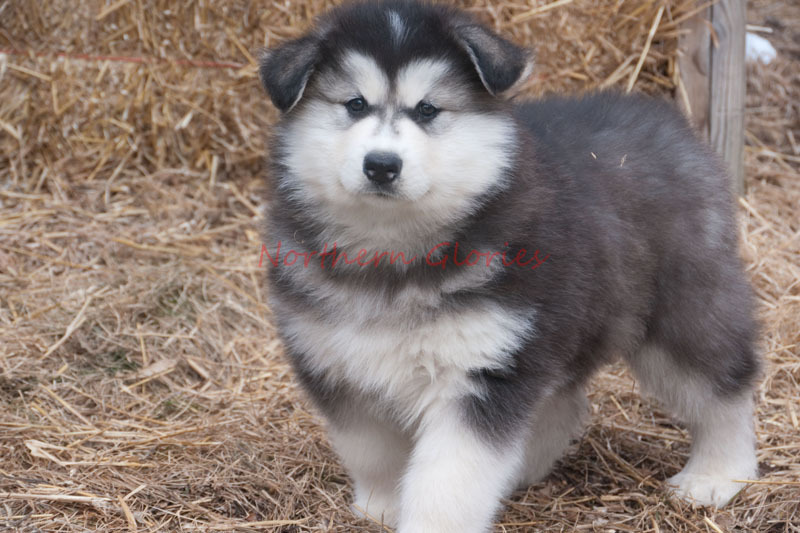 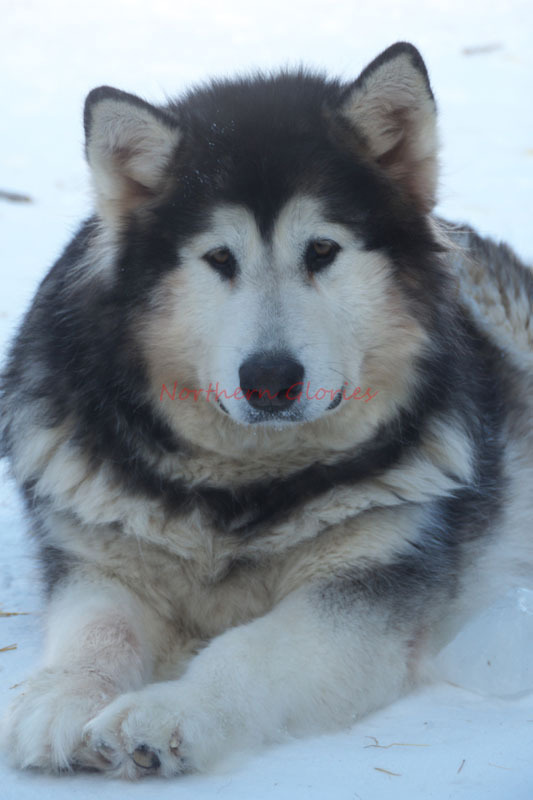 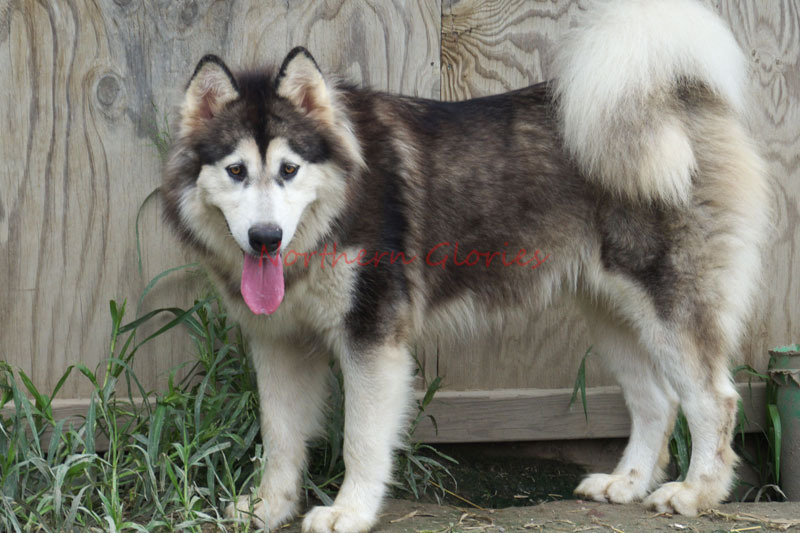 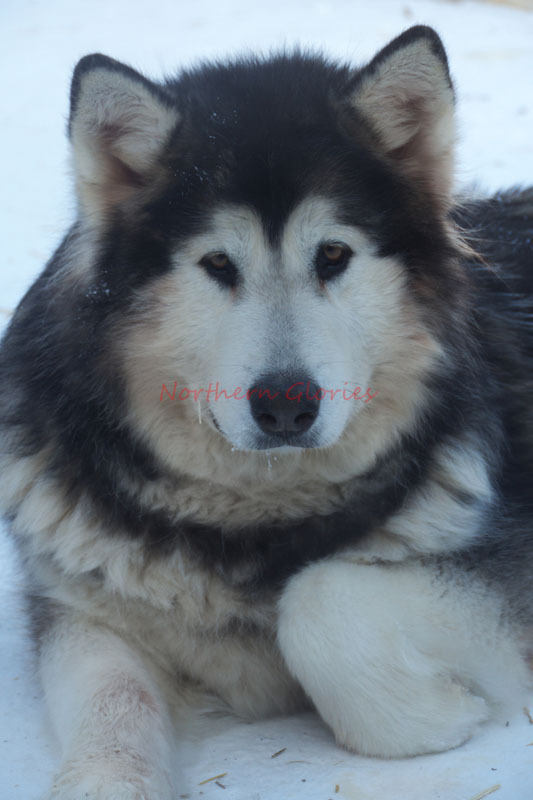 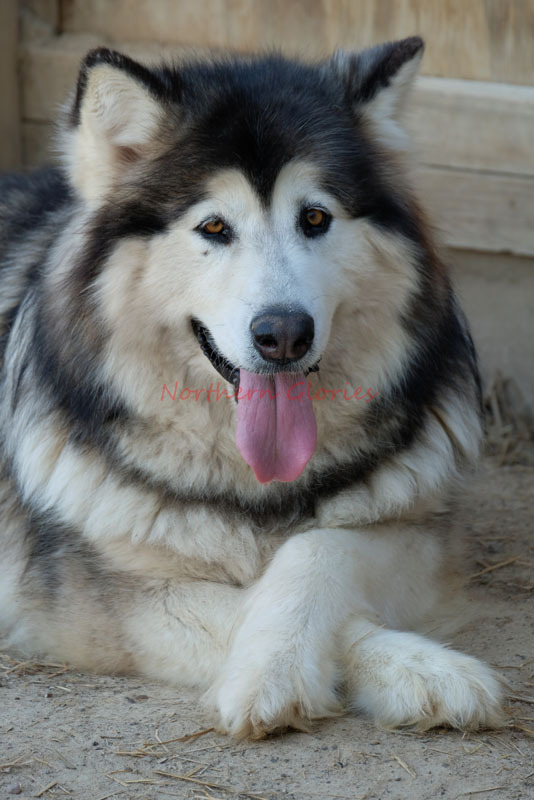 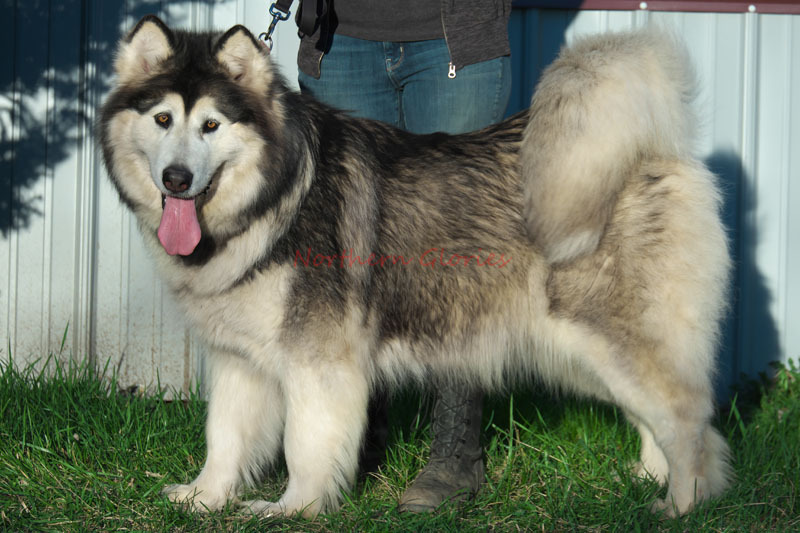 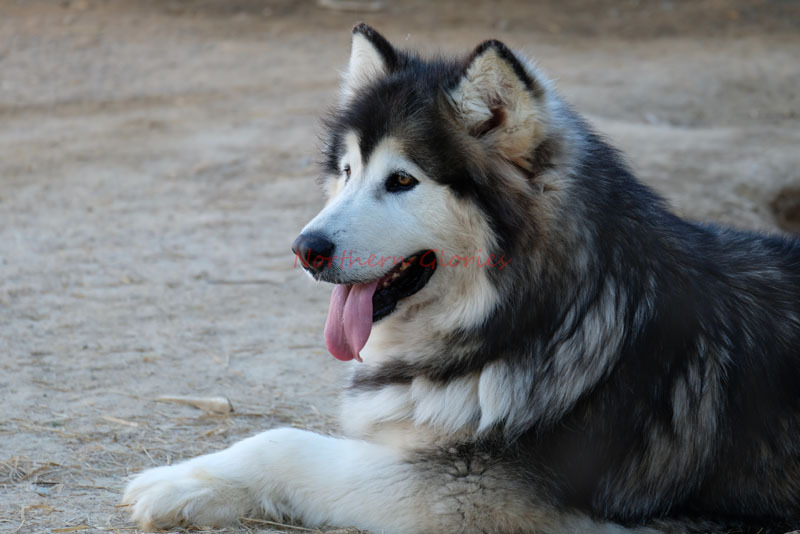 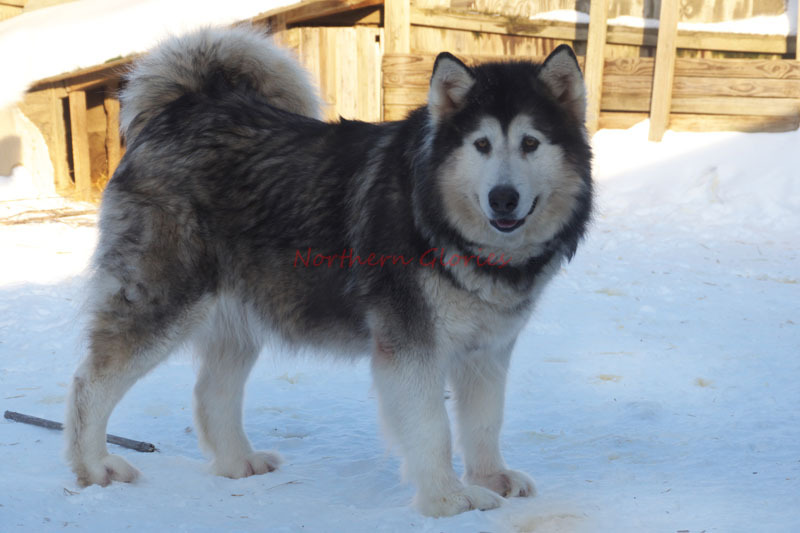 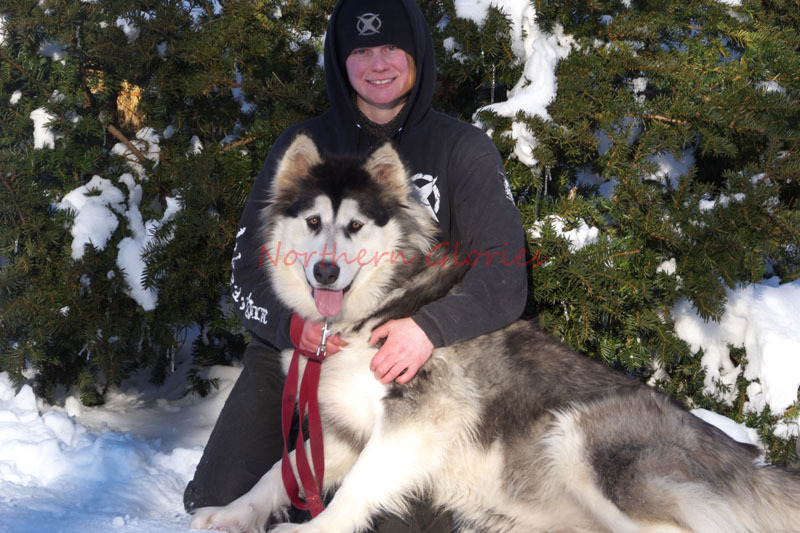 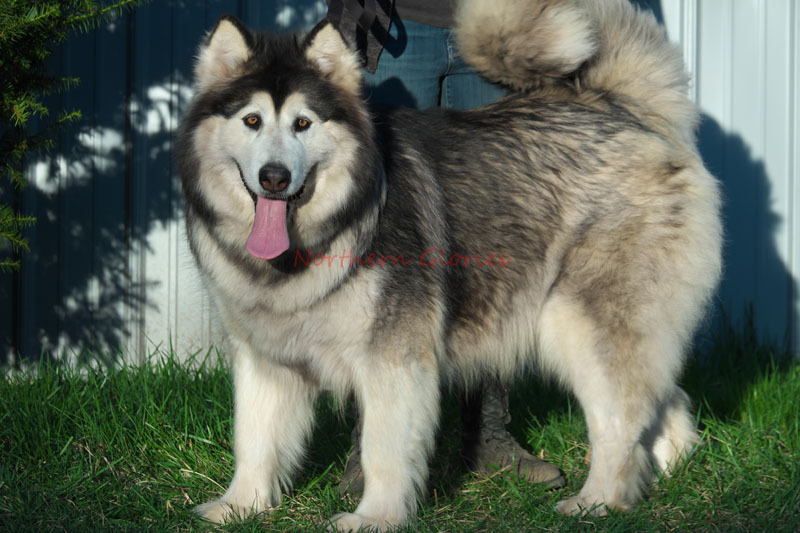 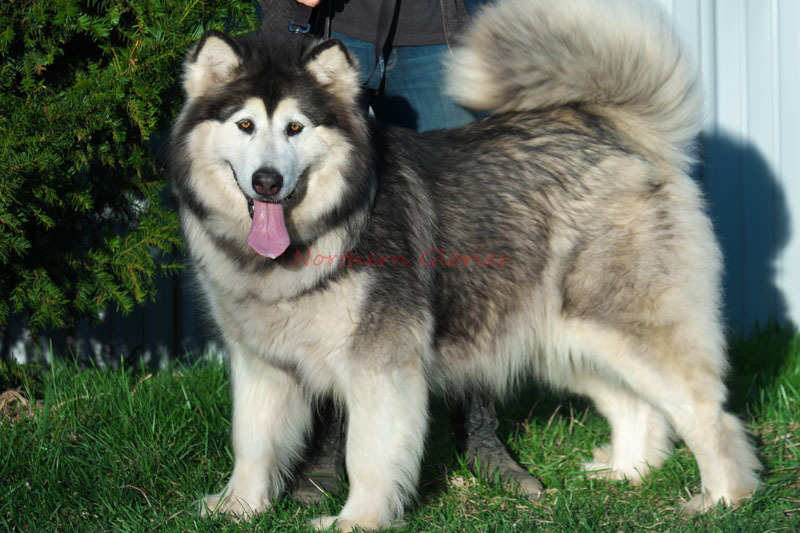 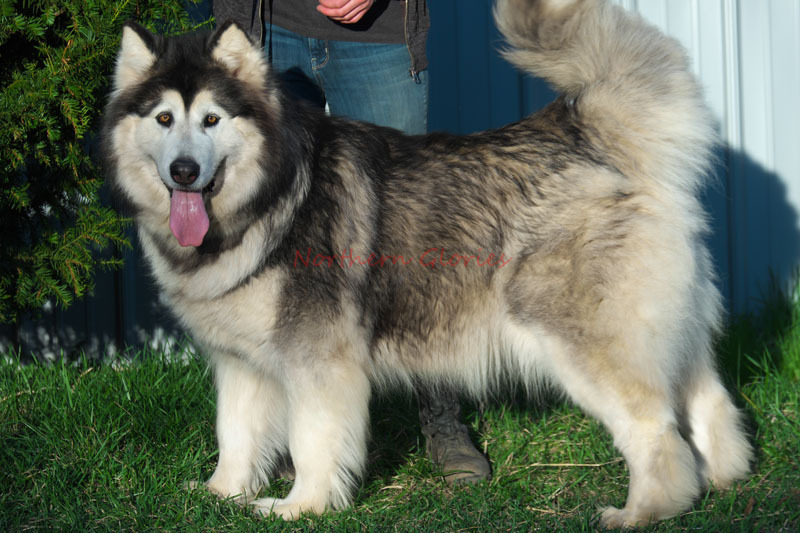 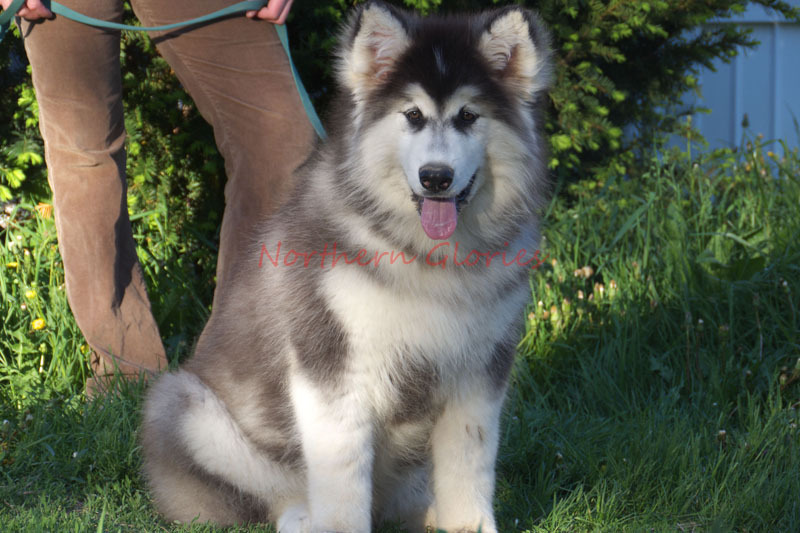 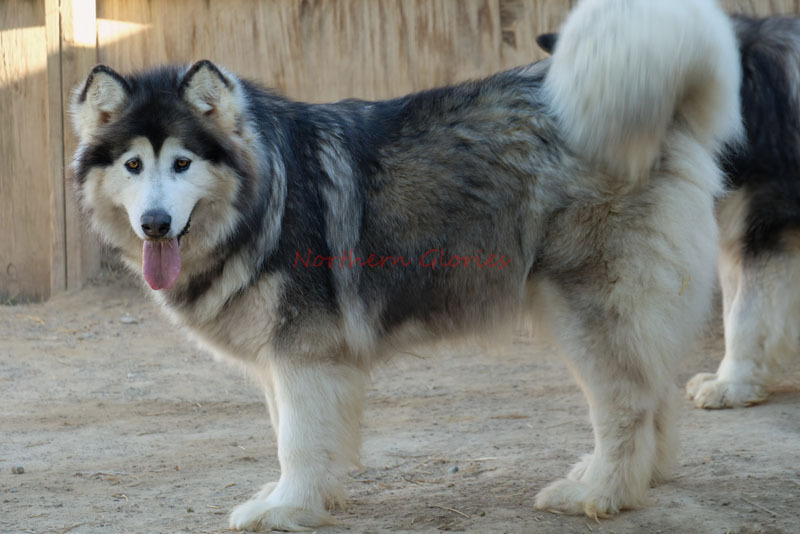 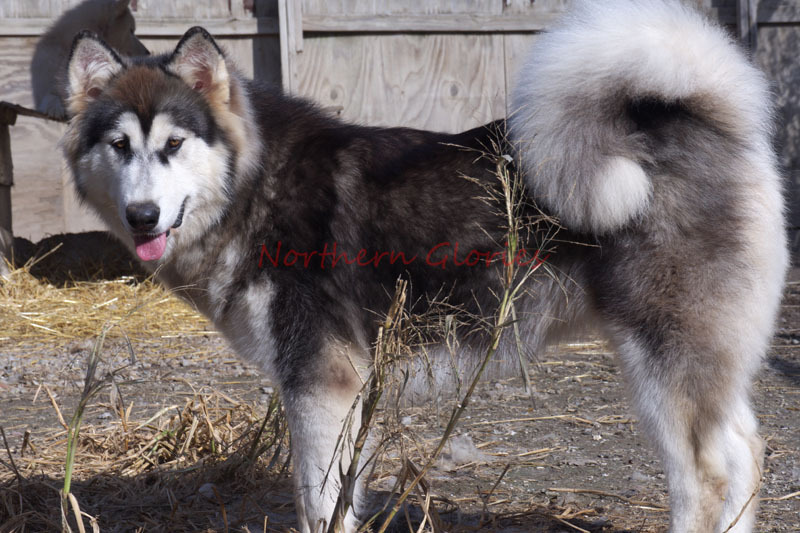 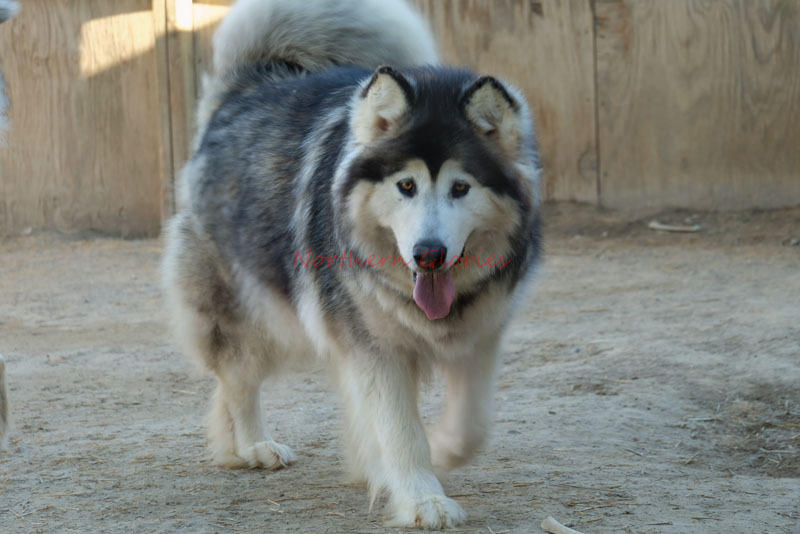 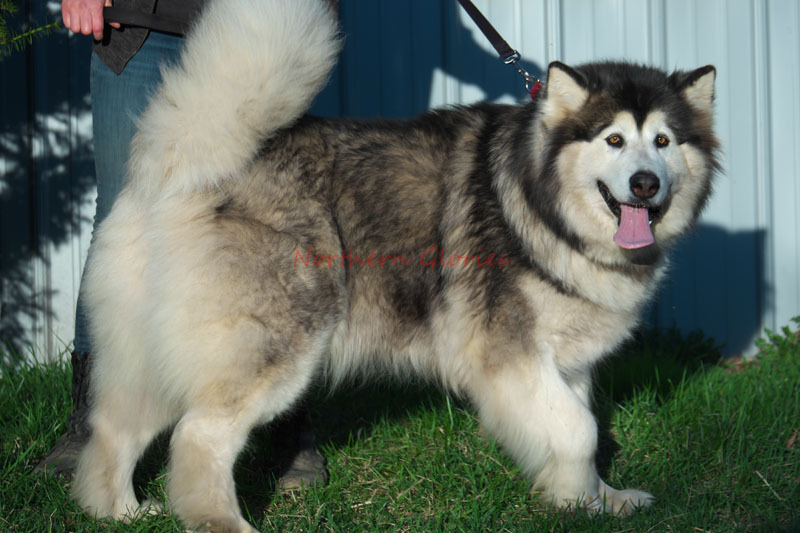 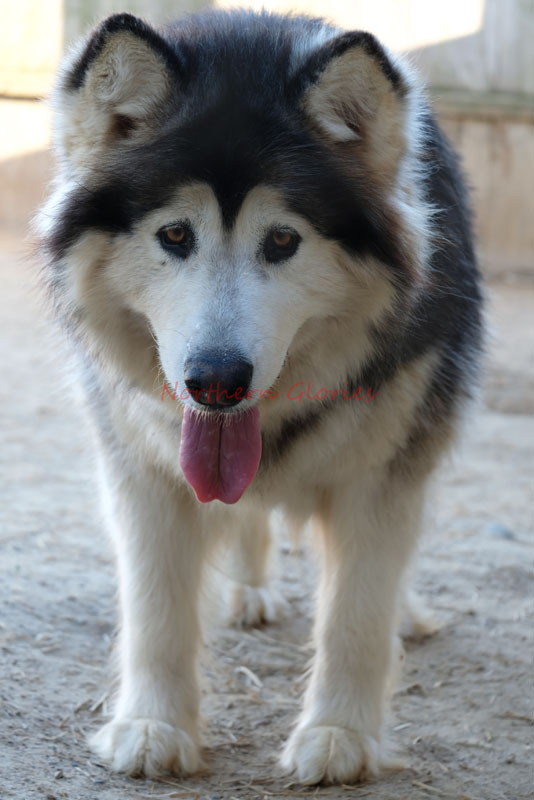 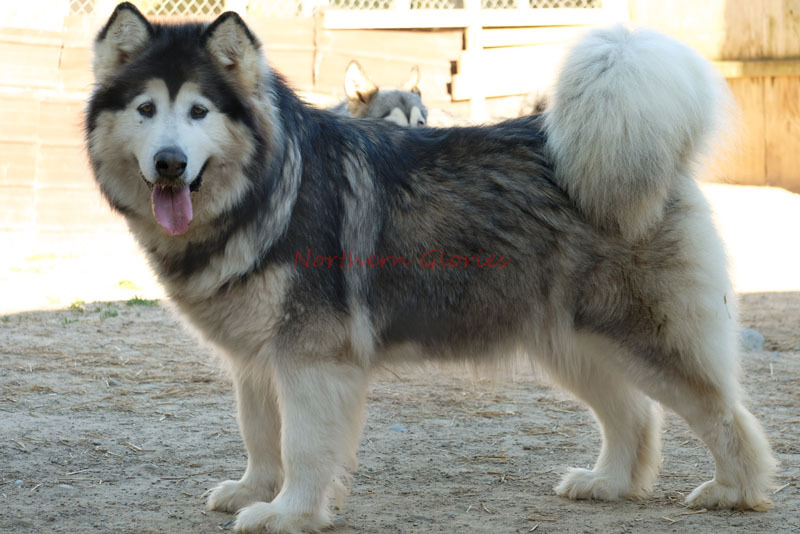 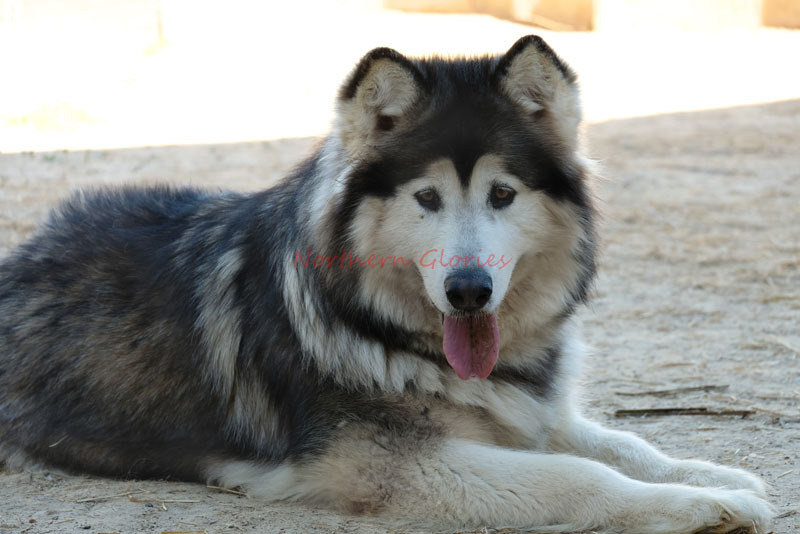 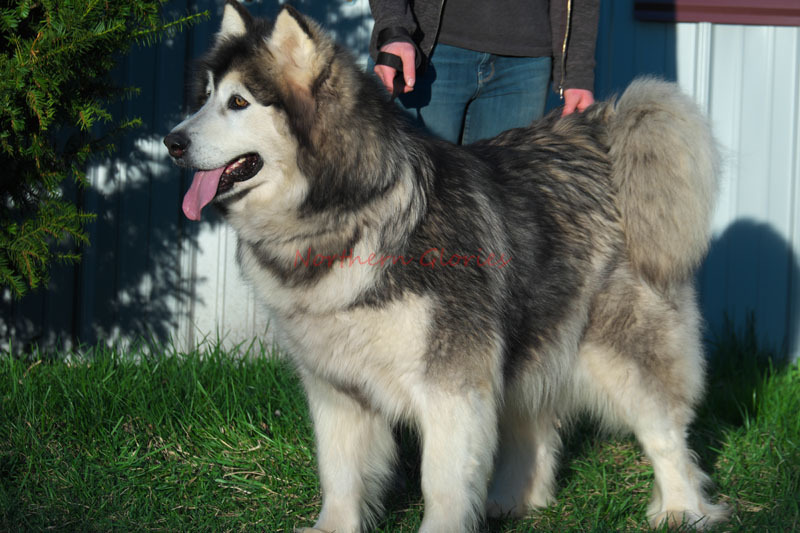 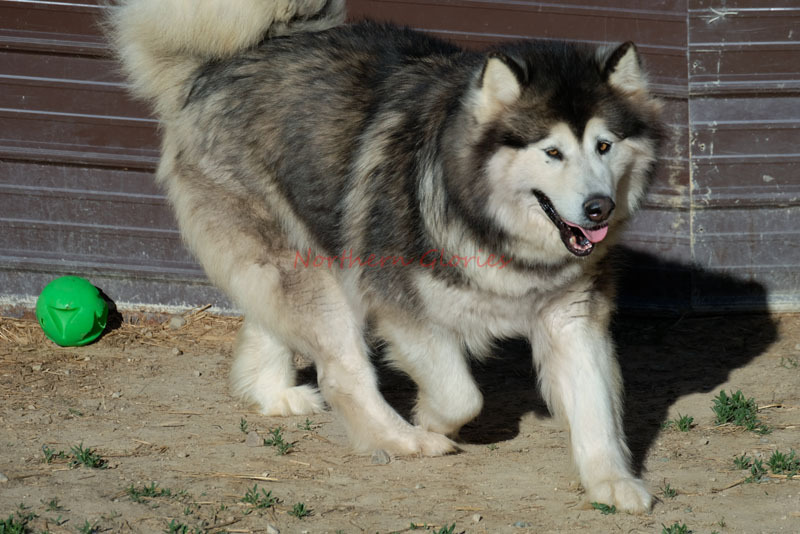 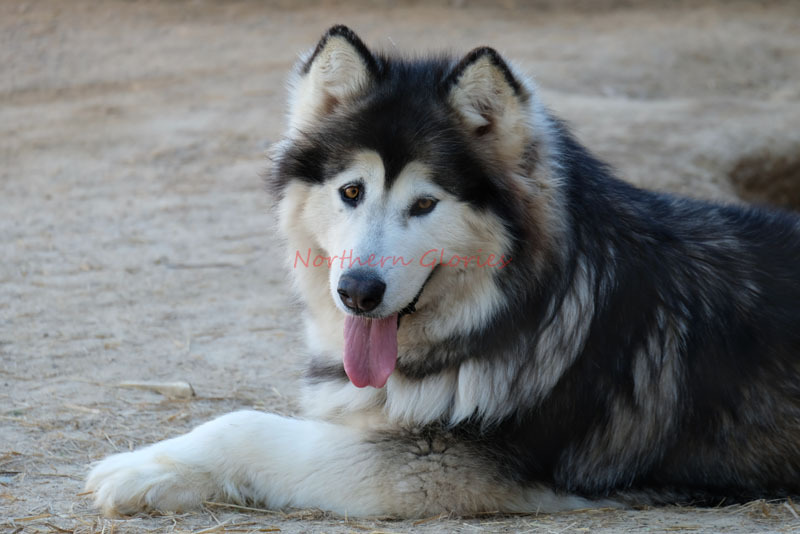 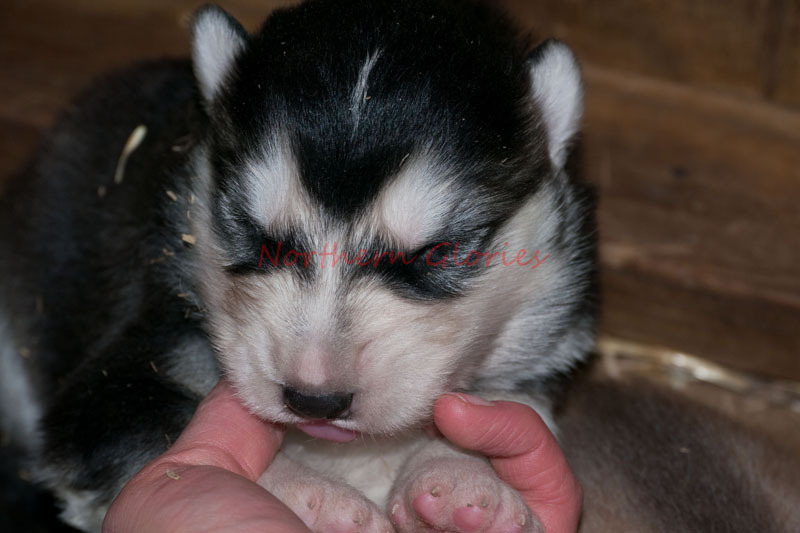 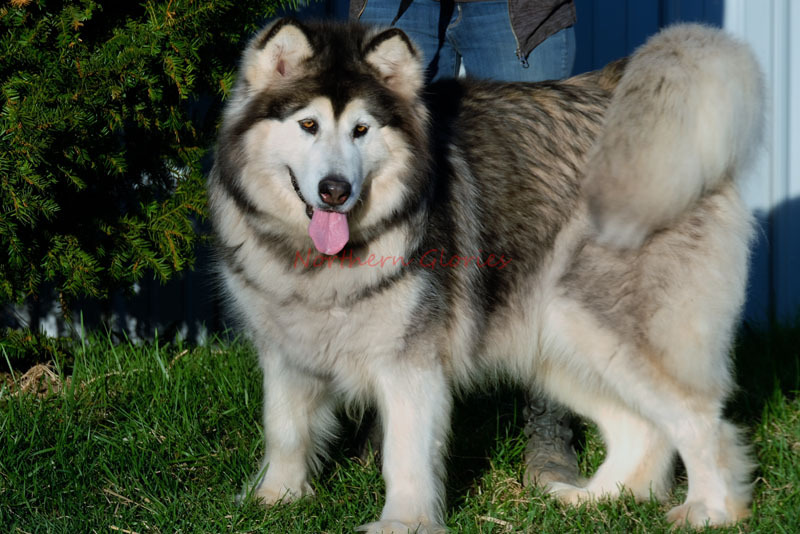 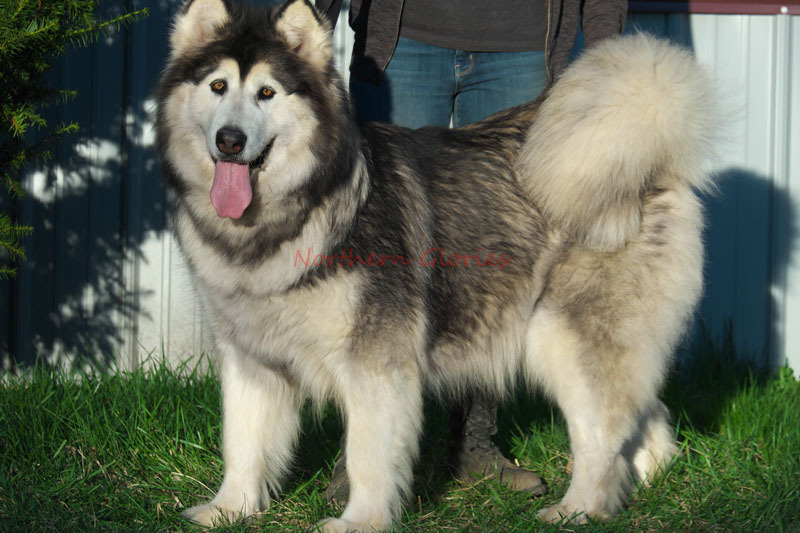 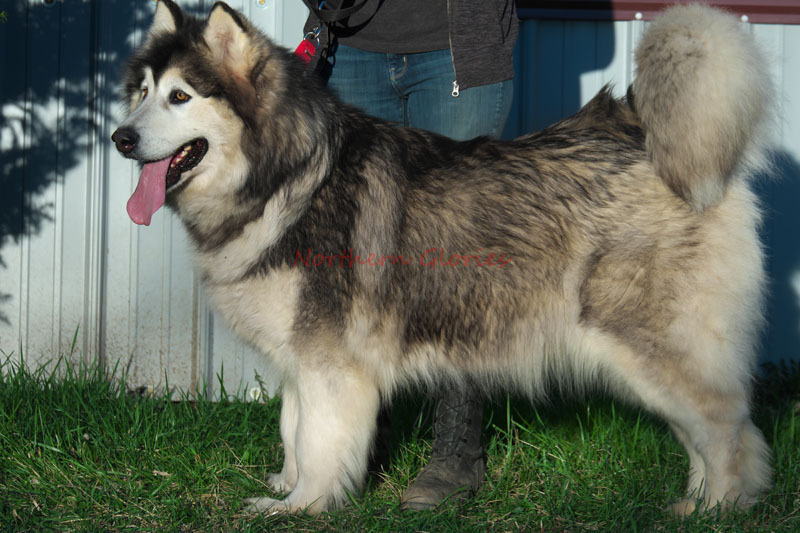 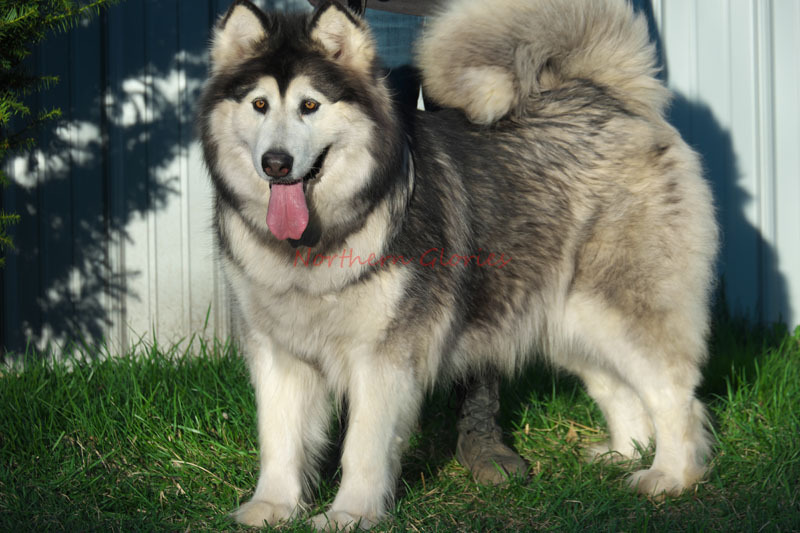 Tavaline is a Massive GIANT black & white long-furred wooly AKC purebred Alaskan Malamute. 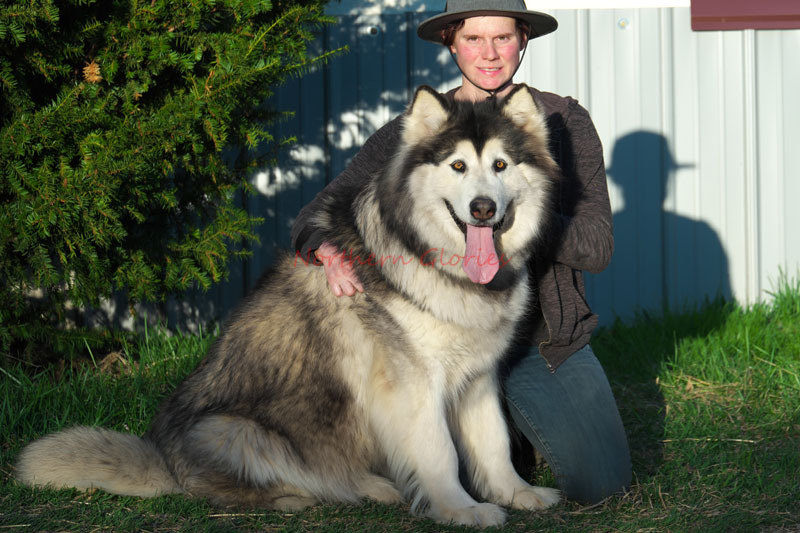 Vet scale weight: 141 lbs. 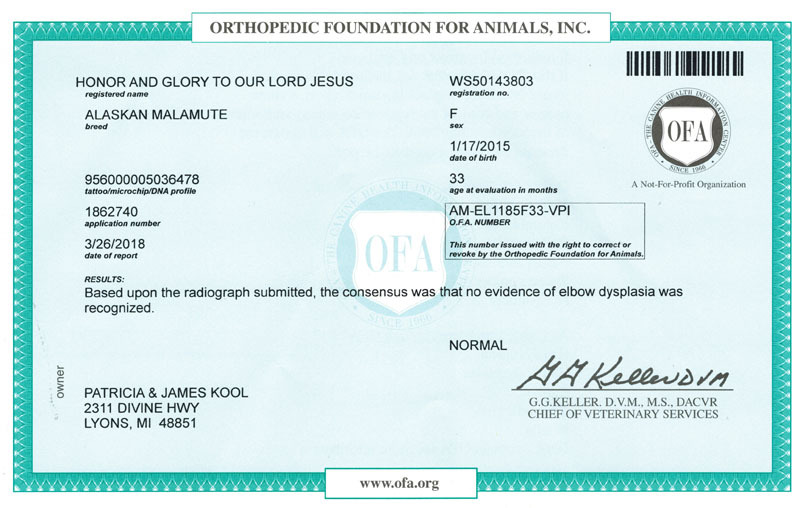 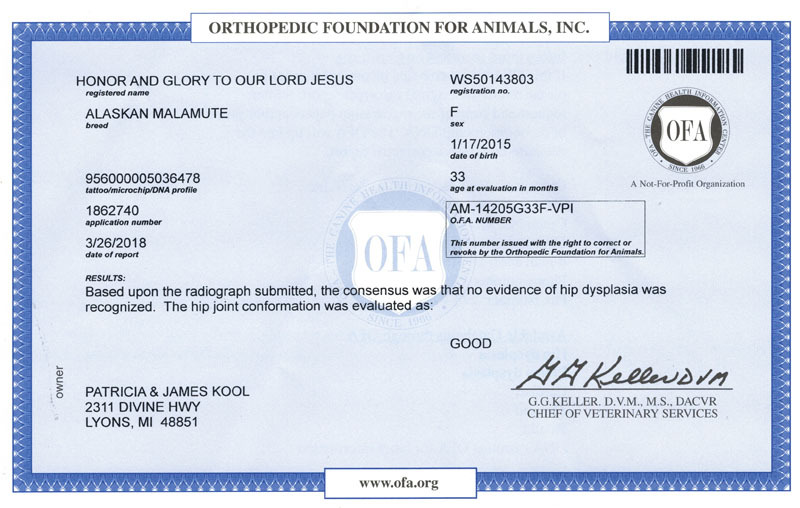 OFA Elbows: Normal - AM-EL1185F33-VPI.